Annually during July, EWG honors newly elected board members with a swearing-in ceremony and reception. The swearing-in ceremony and reception brings together Federal Government women executives, proteges, and guests in celebration and recognition of leadership within EWG. The reception also serves as a networking event, bringing together the Board and Committee Chairs, membership, proteges, and valued partners. 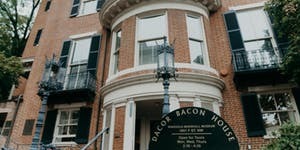 The ceremony is scheduled for July 18, 2018 from 4:30 pm – 6:30 pm at the Dacor Bacon House in Washington, D.C. Tickets are free and a cash bar will be available. Light hors d’oevres will also be served.